This entry was posted in General by Kathey. Bookmark the permalink. 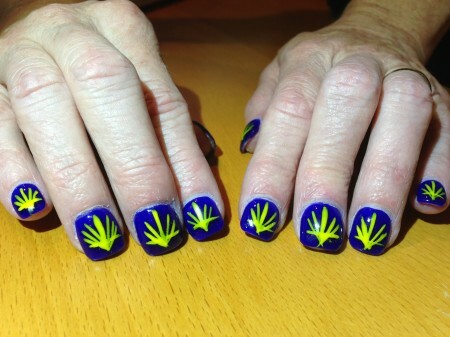 Nice nails! Now you are really ready! Have a great adventure! very cool… btw, I always knew it as “Finistera’ , rather than Fistera… but maybe I remember it wrongly ( btw, my dad is from Galicia, near Santiago ;) ) good luck! The Camino de Santiago is a 500-mile, 800-km pilgrimage across northern Spain that dates back to the 9th century. We did it in three parts, walking roughly two weeks each year in May 2013, June 2014, and June 2015. Welcome! Why am I doing the Camino?